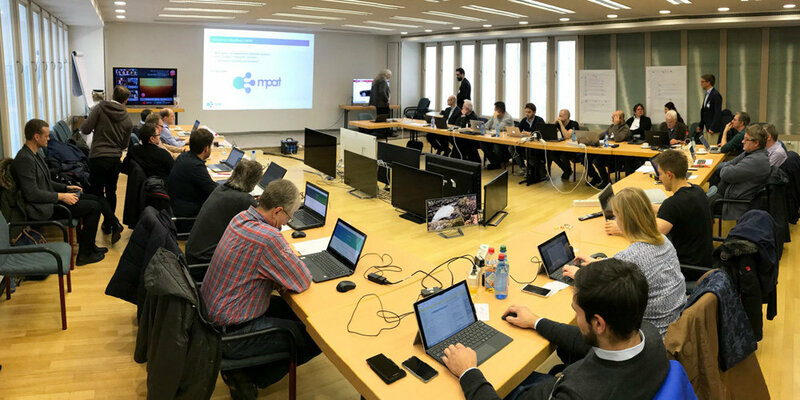 On December 5, 2017, at IRT in Munich, the EU-project MPAT organized a workshop on the creation of HbbTV-Apps. With its over 20 participants from broadcast and IT, the workshop was very well received. The project partners Fraunhofer FOKUS, Institut für Rundfunktechnik (IRT), Rundfunk Berlin-Brandenburg (rbb) and Fincons organized a workshop on the Multi-Platform Application Toolkit on December 5, 2017, in Munich. It offered an introduction to the use cases and possibilites with the toolkit and explained the workflow with the editor. The over 20 participants from broadcast and IT subsequently created their own HbbTV-App and got a permanent demo account for the editor. Fraunhofer FOKUS business unit FAME is project coordinator of the EU-project MPAT, within which the Multi-Platform Application Toolkit is developed. The toolkit is a Content Management System (CMS) for the creation of HbbTV-Apps, based on the freely available CMS WordPress. It offers different navigation models and modules and enables users to develop interactive TV-Apps without any special technical knowledge.